Every Sofclear lens is carefully crafted to provide just the right amount of movement on the eye. This ensures constant rehydration of the lens and interchange of tears from behind the lens, increasing comfort as well as ocular health. Made from the purest grade material and featuring unique Radial Edge technology, which provides uniform edge thickness for unmatched comfort. 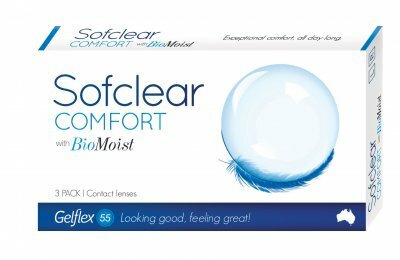 You will love the freedom of crisp, clear vision that this monthly replacement contact lens can bring.